Many Canadians have had their travel plans disrupted because both WestJet and Air Canada have cancelled flights to Puerto Rico due to damage caused by the recent hurricane. Other airlines are still flying to the region. 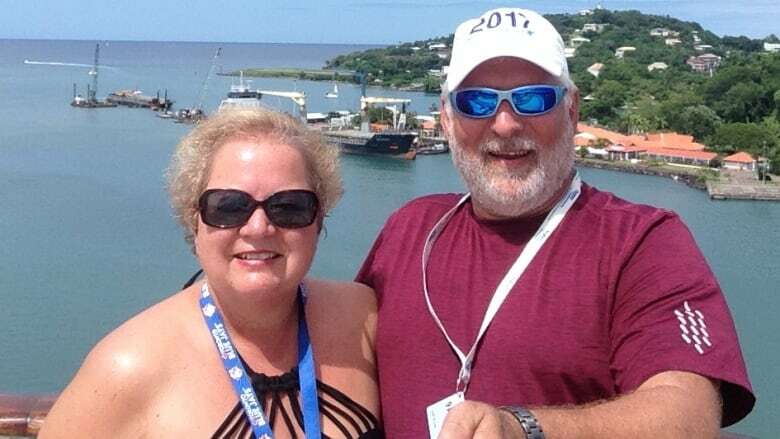 ​Just two days before Rick and Joan Hughes finished their Caribbean cruise, the Ottawa couple got bad news: WestJet had cancelled their flight home, leaving them stranded in Puerto Rico. "We were pissed," said Rick Hughes. The couple called the airline to complain. "WestJet basically said, 'You're on your own," said Joan Hughes. "We were not impressed." 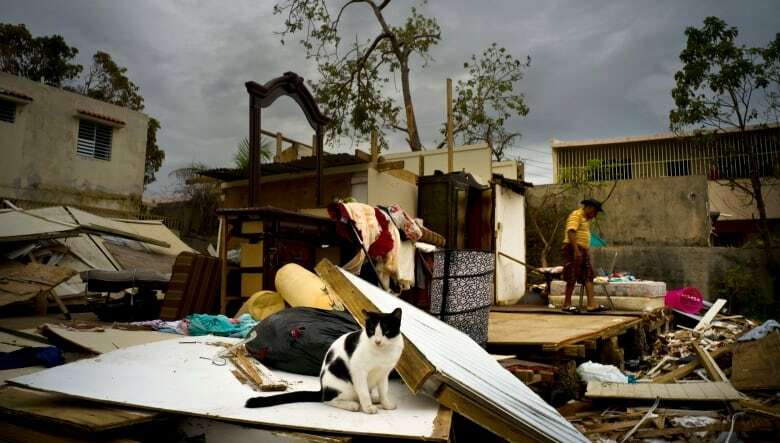 Many Canadians have had their travel plans disrupted because both WestJet and Air Canada have cancelled flights and suspended service to Puerto Rico due to damage caused by Hurricane Maria in September. Other airlines such as American, Delta, United and JetBlue are still flying to the region. Rick and Joan Hughes flew to Puerto Rico's capital, San Juan, on WestJet's partner airline Delta on Oct. 28 to catch their cruise. On Nov. 2, they received an email from their online booking agent, Flight Network, informing them that WestJet had cancelled their Nov. 4 return flight to Toronto. They started frantically calling other airlines. "At least 10 hours of our cruise to sort this out," said Joan Hughes. "I was quite anxious." The couple eventually managed to book a flight with JetBlue Airways. It would be a two-day journey that included two overnight stays in hotels and stopovers in the Dominican Republic and New York City. Their son also had to pick them up at their final destination, Syracuse, N.Y., and drive them back to Ottawa. Nonetheless, the couple was relieved. "I started to cry when I was thanking the man from JetBlue for getting us out," said Joan Hughes. The couple said it cost almost $2,000 to pay for last-minute flights, meals and hotels on top of the cost of the cancelled and refunded WestJet flight. "If we had known this, we would have cancelled our cruise," said Joan Hughes. Fellow passenger Michelle Robinson agrees. She was on the same cruise and was supposed to catch the same WestJet flight home. She also received an email from her online booking agent, Kiwi.com on Nov. 2, informing her that her Nov. 4 return flight had been cancelled. "Completely disappointed," said Robinson, who lives in London, Ont. "To leave someone stranded like that, you can't do that to people without offering some sort of alternative." Robinson ended up flying home over two days with an overnight stay in Panama City. Kiwi.com booked the flight and covered her expenses. WestJet told CBC News that it cancelled flights to Puerto Rico because of "concerns with safety of the infrastructure" following Hurricane Maria. Spokesperson Lauren Stewart offered an apology to passengers "for this unfortunate situation." However, she says the airline gave plenty of notice because it had posted a travel advisory on its website on Oct. 8 that it had suspended San Juan service for its winter season starting on Oct. 30. Stewart said that when a passenger books through an online agency, that agency is responsible for notifying the customer. Both Kiwi.com and Flight Network told CBC News that they were dealing with a high volume of passengers at the time, and took responsibility for not notifying their clients earlier of the flight cancellation. Flight Network also apologized to Rick and Joan Hughes and says it will cover the full costs of the couple's journey home. "We're most happy about it," said Rick Hughes. "It's awesome." Air Canada passenger Marilyn Duhaime also found herself in a bind after she learned that her round trip from Toronto to San Juan had been cancelled. 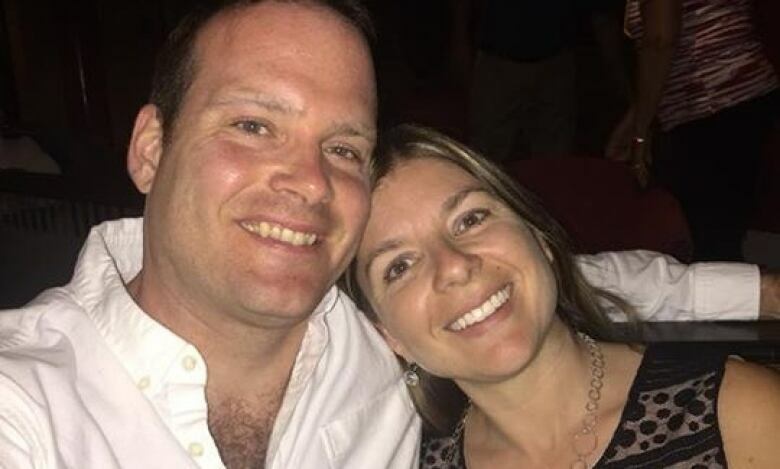 Duhaime and her husband Dave were supposed to fly to the city on Nov. 25 to catch their Caribbean cruise. She says she learned of the flight cancellation on Nov. 4 from her sister, who was set to travel with the couple but had booked her flight with a different travel rewards program. Duhaime says neither Air Canada nor Aeroplan, the rewards program she booked her flight with, had notified her. "I'm just flabbergasted," says Duhaime who lives in Dorchester, Ont. She says that when she called Air Canada and Aeroplan to confirm the cancellation, no one offered to help her get another flight to San Juan. "I felt sick," said Duhaime. 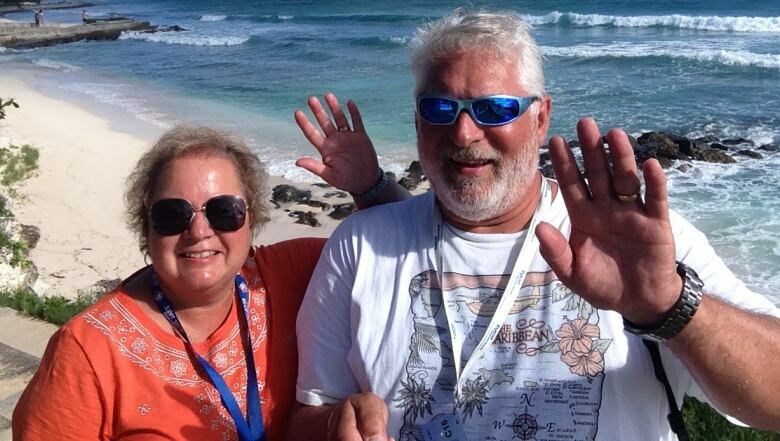 She scrambled and booked two tickets with American Airlines so she and Dave could still make their cruise. The late booking cost the couple $1,781. Plus, they'll have to shell out for two overnight hotel stays because they're now flying out of Detroit. The couple got their points back from Aeroplan. When they used them six months ago to book their Air Canada tickets, they only had to pay a $228 added fee. "Now we have a $2,000 bill," said Duhaime. "I'm not happy at all." Air Canada told CBC News it suspended service to Puerto Rico for the season starting on Oct. 29 because of hurricane damage to the terminal it uses in San Juan. The airline also said it's helping affected passengers make alternative arrangements at no extra cost. Air Canada said we should talk to Aeroplan about Duhaime's case. Aeroplan said that Duhaime cancelled her flight before the program had a chance to notify her about the cancellation and help her make alternative arrangements. 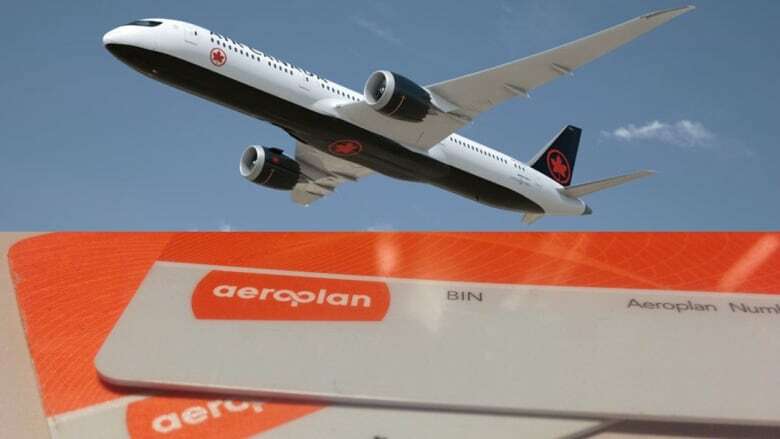 Following our inquiry, Aeroplan told CBC News it had contacted the Duhaimes and provided them with compensation for having to rebook their flight.